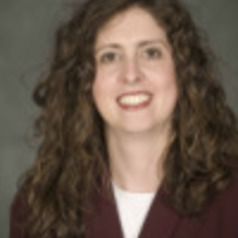 Michele Swers is a Professor of American Government in the Department of Government. She earned her Ph.D. from Harvard University. Dr. Swers' research and teaching interests encompass Congress, Congressional elections, and Women and Politics. She has written two books on women and representation in Congress. Her book, The Difference Women Make: The Policy Impact of Women in Congress (University of Chicago Press 2002) explores gender differences in policy making activity on issues related to women, children, and families. Women in the Club: Gender and Policy Making in the Senate (University of Chicago Press 2013) examines the impact of gender on senators' policy activities in the areas of women's issues, national security, and judicial nominations. Swers focuses on party differences to demonstrate how party reputations for issue ownership interact with perceptions of women’s policy expertise to create opportunities and obstacles for women senators. She analyzes women’s activities as members of partisan teams leveraging their gender to promote party messages to groups of women voters and to advance their own policy goals. Watch Swers talk about the book on C-SPAN here.